From Chamonix to Zermatt: Our 2016 Run the Alps Tours are Here! We’ve just announced our 2016 tours! Check them out, right here. These last few months have been one of the busiest periods ever for Run the Alps. We wrapped up our most successful season, departing the trails of the Chamonix valley only when snow started to work its way down the flanks of Mont Blanc. Back here in the states, we spent the last month going over every detail of our tours for 2016: how will bags move over high mountain passes, so we can enjoy the day with just a light trail running pack? What’s the ideal distance, the best hut, the right hotel? With help from our friends at Alpinehikers, we think we’ve made some great additions. For those of you coming next year, we hope you’ll agree! Our first UTMB tour takes a time-out at the Bonatti Refuge, in Italy’s Val Ferret. In 2016, Run the Alps has a brand new guided tour we’re calling La Vallée du Trail, featuring what we think is the world’s hot spot for trail running right now: Chamonix, France. There’s just no place like Chamonix anywhere in the world, when it comes to trail running. Hundreds of miles of trails on the Mont Blanc range, beautiful single track through the Aiguilles Rouges nature preserve, outstanding views, and an array of huts, mountain hotels, and cable cars to provide support. 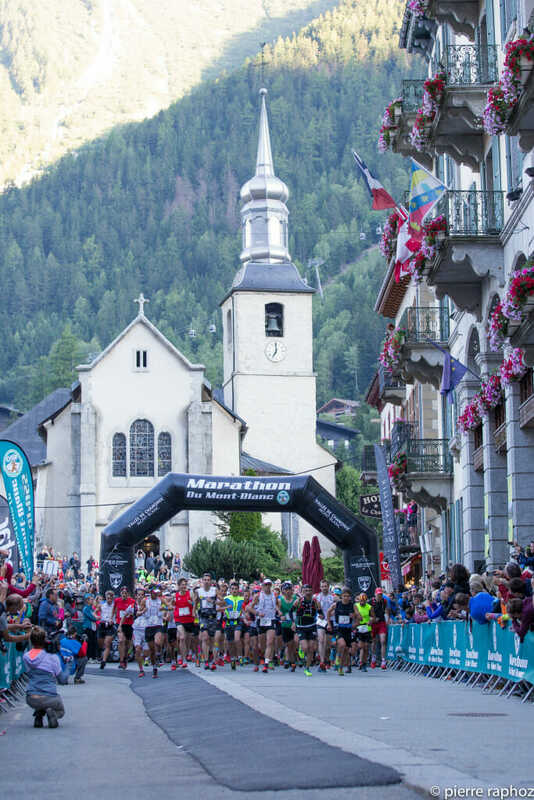 Our trip will be there during the excitement of the Chamonix Skyrunning Championships, with no fewer than five trail races happening over three days. (And tour participants can take part in a race, too, if they want!) You can read about the tour right here. Our other guided trail running tours for 2016 include a run along the route of the iconic Ultra-Trail du Mont Blanc, Switzerland’s dramatic Bernese Oberland, and two tours that incorporate trail races with stunning scenery: our Eiger Trail Tour and Matterhorn Ultraks Tour. Self-guided guests will be receiving all-new materials for 2016, with our unique run descriptions. Two seasons in the works, these mini-guides feature everything a trail runner would want, including elevation profiles, “percent complete” data, bail-out options, turn-by-turn descriptions, and much more. Each description has both a “Fireside” edition for reading at the inn or hut, and a waterproof “On the Run” version for use on the trail. There’s more too—but some of the news we can’t announce quite yet. Suffice it to say, some of you will be running with a few special guests next year! We’ll also have new partnerships to share, and some beautiful and functional cold-weather trail running gear from our partners at Ibex, coming in just a week or two. Behind the scenes, we’re upgrading our web site, and introducing new writers to our Run the Alps blog. Run the Alps continues to be a labor of love for all of us. We look forward to hearing from you, and sharing the remarkable trail running the Alps have to offer. On behalf Troy, Abby, and our ever-reliable guides, we hope to see you in the Alps! P.S. 2015 was such a great season for us, we can’t help ourselves, and wanted to shamelessly share a few comments. Thanks to all of you who made it possible, and a special thanks to our guides Abby, Alex, Alister, and Claire.